The Ambassador of Starkhafn is an award bestowed by the Baronage of Starkhafn. 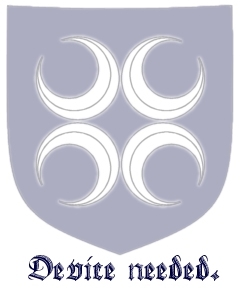 Its symbol is a ribbon in the Colours of the Barony; Argent, Sable, and Azure. Recipients of this award known as an Ambassador of Courtesy. "There are some among us who take special efforts to share the unique spirit of Starkhafn with others within the Known World, whether it is through bringing visitors to our oasis in the desert and sharing our famed hospitality with them, or through visiting other lands and bringing Starkhafn to them. It is through these efforts that our word fame grows with our size and strength. In recognition of the service these members of our populace do for the Barony, the Order of the Ambassador of Courtesy of Starkhafn was created. Those recognized with this award shall be granted a ribbon in the Colours of the Barony (Argent, Sable, and Azure) and shall be granted the honorary position of Ambassadors of the Courtesy of Starkhafn." This page was last modified on 29 March 2019, at 18:48.